Bookcase with frame in solid canaletta walnut. The shelves can be stained or lacquered in a different finish from the frame. Finish: Canaletta Walnut, Canaletta Walnut Moka Stained, Canaletta Walnut Wenge Stained or Matt Lacquered Closed Pore. Brushed Bronze Brass. Bookcase with frame in solid canaletta walnut. 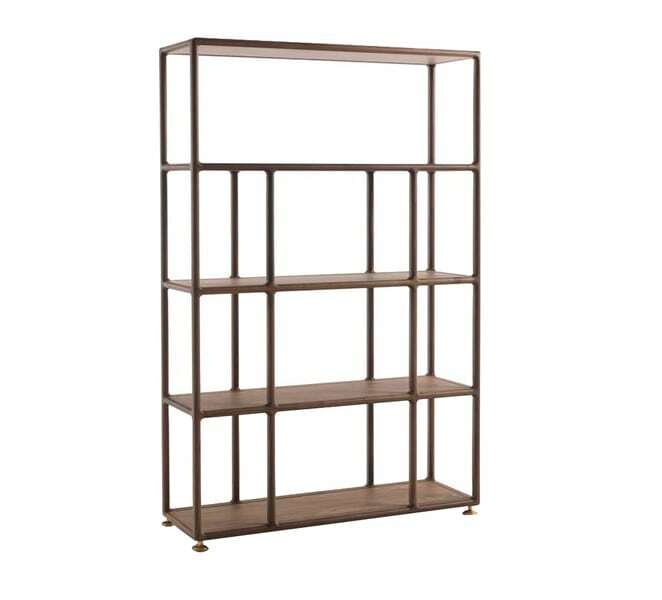 The shelves can be stained or lacquered in a different finish from the frame. Finish: Canaletta Walnut, Canaletta Walnut Moka Stained, Canaletta Walnut Wenge Stained or Matt Lacquered Closed Pore. Brushed Bronze Brass. Dimensions (WxDxH) 01: 1200x400x1840mm.